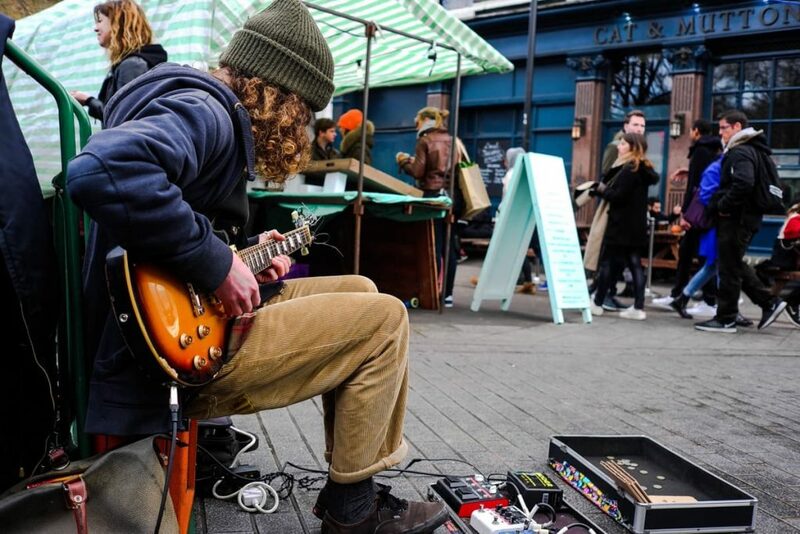 One of London’s most exciting and ‘up-and-coming’ areas, Hackney is now of the trendiest places to live in the country and when you say you’re staying here, people will be positive about it. The neighbourhood is growing fast and attracting an influx of new young people and creatives who are shaping the area into a vibrant community hub that stands apart from anywhere else in the city. Hackney Central is the centre-most district within the London Borough of Hackney, situated within postcode E8, straying into E5 and E9 around the edges. The district sits firmly in East London, with Charing Cross about four miles to the south west. Hackney is neighboured by Harringay to the north, Stratford to the east, Whitechapel to the south, and Holloway and Finsbury Park to the west. What’s the typical accommodation type in Hackney? Regeneration has seen property prices soar throughout the Borough of Hackney, as well as Hackney Central itself. The properties here are mainly the typical Cockney Victorian flat-fronted terraced houses, lining pretty tree-lined back streets around more built-up and commercial areas. The trendy aspect of the area shows with newer warehouse conversions, and there are some areas of newbuild flats and apartments, but not too many. The local authority in Hackney promote mixed-use buildings, so its not uncommon to find apartments and flats in the same property as commercial units. Historically Hackney was once of London’s least loved – and most deprived – areas. However, now its considered more than adequately safe and is frequented by tourists and visitors as well as residents! It’s a bustling community with lots of outdoor life, so you’ll rarely find a quiet street, and you can feel perfectly safe at all hours of the day and night. What type of people live in Hackney? The hustle and bustle of Hackney’s new-found coolness means that you won’t tend to find large numbers of families or older people here; but rather young professionals, couples, students, and international residents. The regeneration has seen creative and arty types flood into the area, and big names such as rapper JME, Freema Agyeman, Skepta, Michael Caine, Idris Elba, Noel Fielding and Paloma Faith all reside here. Hackney is a melting pot of cultures, languages and religions. Tourists are primarily from Japan and China, and flock to the designer shops of Mare Street. You’ll never be short of someone interesting to meet and chat to in this district! What transport links does Hackney offer? Hackney Central is on the London Overground rather than Underground, but with plenty of connection options for places more central. Nearby Hackney Wick and London Fields both have mainline services to Liverpool Street in less than 15 minutes. All stations are within Zone 2, so despite not appearing on the London Underground map, they’re not as far out as they may appear. Lots of London bus routes run through Hackney and you’ll find plenty of residents on bikes taking advantage of pedestrianised areas and green spaces. Should you prefer private transport, you’ll never be too far from a black cab or Uber either, so there’s lots of options! What is there to do in Hackney? 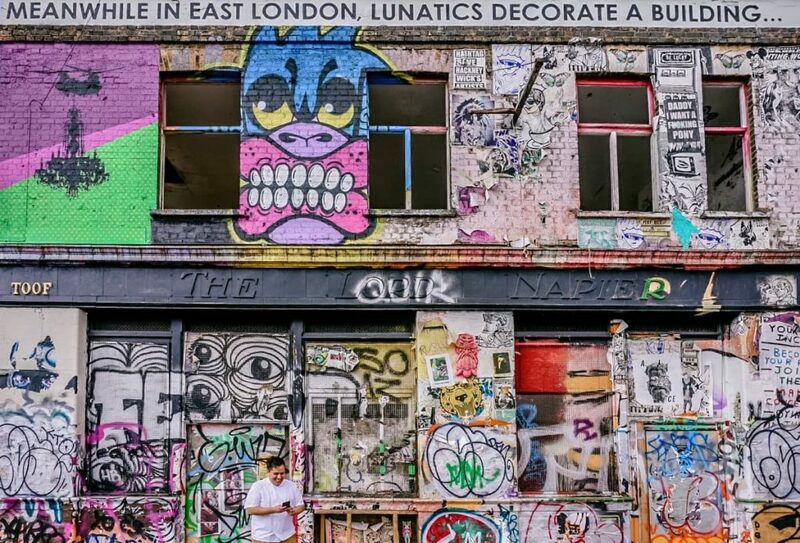 Hackney is one of the coolest places to be in the whole of the UK, so if you’re staying here, be sure to take some time out to look around. A venue synonymous with the area, the Hackney Empire has a varied history and has been, amongst other things, a burlesque club, a theatre and a bingo hall! Today it houses a variety of live events including music, art exhibitions and comedy shows. Book tickets online or just nip by to see what’s on; there’ll be something happening most nights of the week. A seasonal attraction, but one that will have you forgetting you’re even in London, the London Fields Lido has an Olympic-sized swimming pool and it’s heated! It makes for the perfect place for a hot, sunny day hangout; whether you’re actually getting in some exercise and doing lengths or just sunbathing around the pool. Every Saturday, the road from London Fields to Regent’s Canal closes for a veritable feast of pop-up market stalls. Nip by the gourmet butchers Hill & Szrok, try local oysters at fishmongers Fin & Flounder, and treat yourself to an expertly-sourced-and-blended coffee at Climpson & Sons. You can grab lunch and dine al-fresco at the nearby Fields, and pick something up to cook for dinner, all from only the highest quality of retailers. It’s foodie bliss! If you are an international student, intern or professional looking for homestay (“host family”) accommodation in Hackney or close by, we would love to hear from you. Similarly, if you have a spare room in your Hackney home and are interested in hosting international students, please do get in touch with us.